I love baking and creating fun things for the kids especially around holidays. 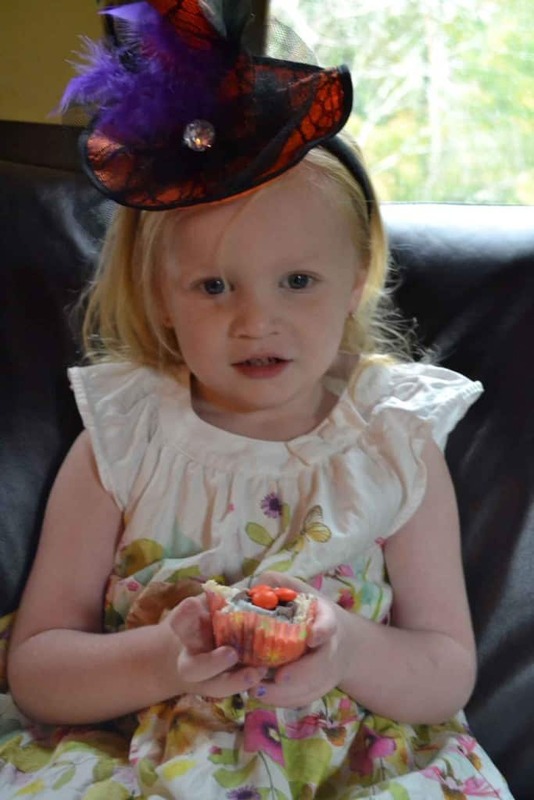 I love how these easy halloween cupcakes look and the kids love how they taste! A complete win-win. By using a little shortcut with Flipz chocolate covered pretzels no one will no that they only took minutes to assemble. 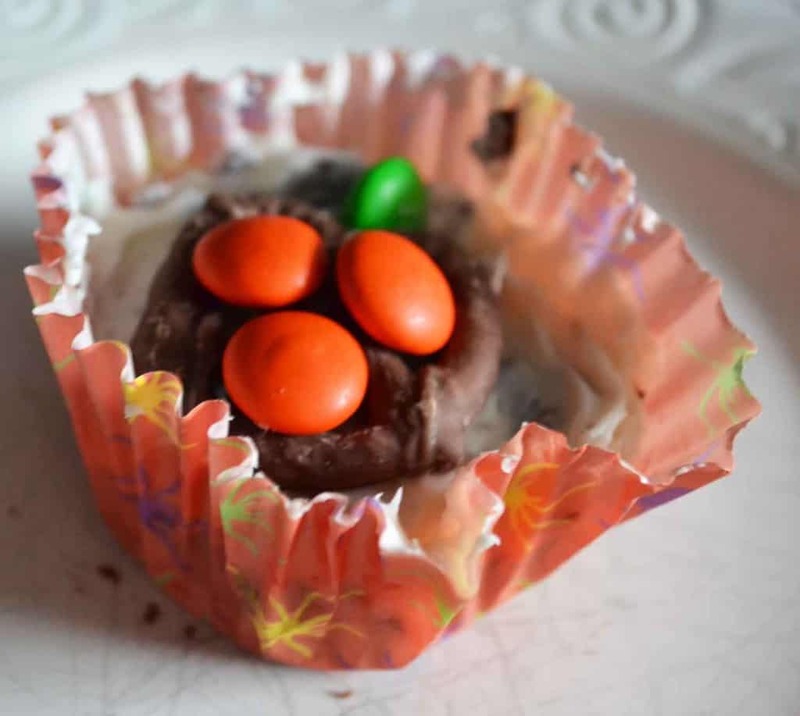 These Halloween goodies would be perfect for a Halloween party or bake sale at school. Flipz are chocolate covered pretzels that come in a variety of flavors: milk chocolate, white fudge, chocolate mint,dark chocolate and now birthday cake too. These Flipz chlorate covered pretzels are delicious on there own or incorporated into a recipe. I love having a bag of Flipz at my desk at school for when the chocolate urge strikes. They are the perfect balance of sweet and salty. So how did I make these easy Halloween treats? Super easy that’s how. Simply bake a batch of your favorite cupcakes, cookies or brownies. Place one Flipz on top and add three orange chocolate candy shell candies inside the Flipz and add one Green one on top for a stem. How is easy is that? Super cute, ready to eat pumpkin. 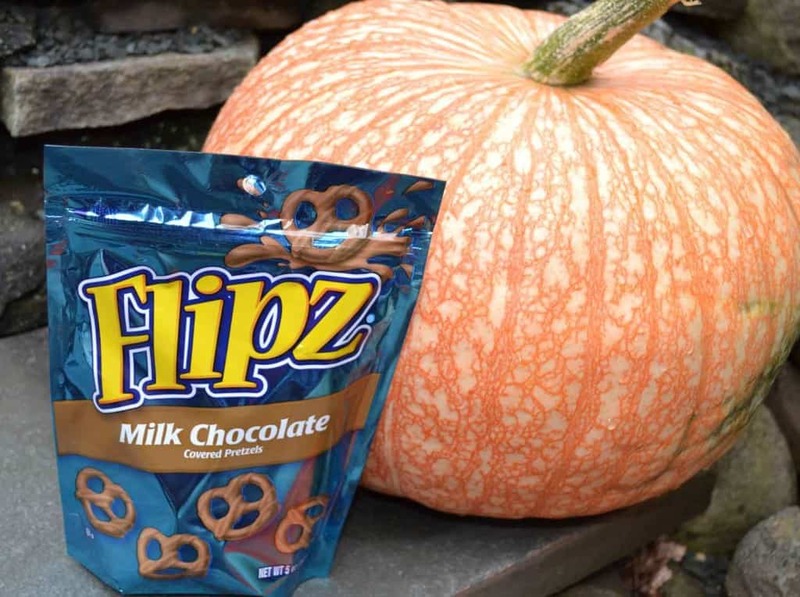 Use the hashtag #HALLOWEENFLIPZ to share how you use Flipz to decorate your goodies for Halloween. For full product information visit Flipz on the web, Facebook and Instagram.